These pages, hosted by David Coke, contain lists of names of those involved at the gardens and other items of general interest. 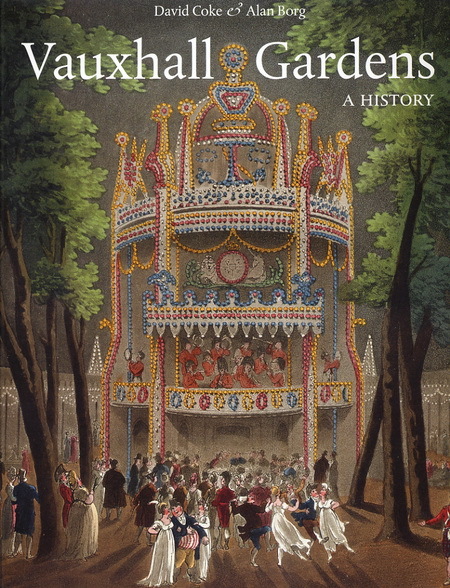 They are intended to complement Vauxhall Gardens : A History written in collaboration with Dr. Alan Borg. It also provides links to other sites with Vauxhall interest, and a list of further reading for those who would like an introduction to the subject. I hope it will also act as a focus for all those interested in Vauxhall Gardens and related fields. The website is sporadically updated with new information and amendments so, if you are searching for particular names it is worth-revisiting from time to time. I would be delighted to hear from anyone who can add to the information on these pages or who knows of any unrecorded relics or Vauxhall Gardens documents. David Coke F.S.A., was curator of Gainsborough's House, Sudbury, 1976-79, where he organised the exhibition The Muses' Bower, Vauxhall Gardens 17281786. While Director of Pallant House Gallery, Chichester (19811997) he curated the Vauxhall Gardens section in the 1984 Rococo exhibition at the Victoria & Albert Museum, London and in 2012 The Triumph of Pleasure, an exhibition for the Foundling Museum, London. 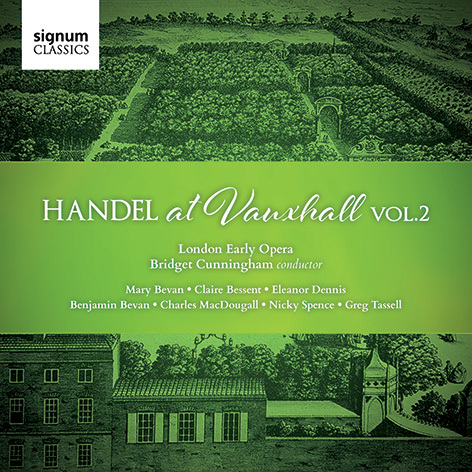 Publications include: The Muses' Bower, Vauxhall Gardens 17281786. Exhibition Catalogue Gainsborough's House ; contributed the Vauxhall Gardens Section in RococoArt and Design in Hogarth's England 17281786 (V&A, London, 1984); the article on Pleasure Gardens for the Oxford Companion to Gardens (1986); section on 20th Century Art in Chichester Cathedral An Historical Survey, ed Mary Hobbs (Phillimore, 1994); he edited Hans Feibusch: The Heat of Vision, (Lund Humphries, 1995) and 'Roubiliac's Handel for Vauxhall Gardens: A sculpture in context', The Sculpture Journal, 16.2, Autumn 2007. Together with Dr. Alan Borg, Vauxhall Gardens: A History (Yale University Press, 2011). His most recent piece, 'Patriotism and Pleasure', was written for History Today, May 2012. He has contributed sections on 'Vauxhall Gardens' (2007) and 'Ranelagh Gardens' (2009) to the online Literary Encyclopaedia at www.litencyc.com. In 2009 he completed a lecture tour of S.E. Australia and frequently contributes to television and radio programmes.